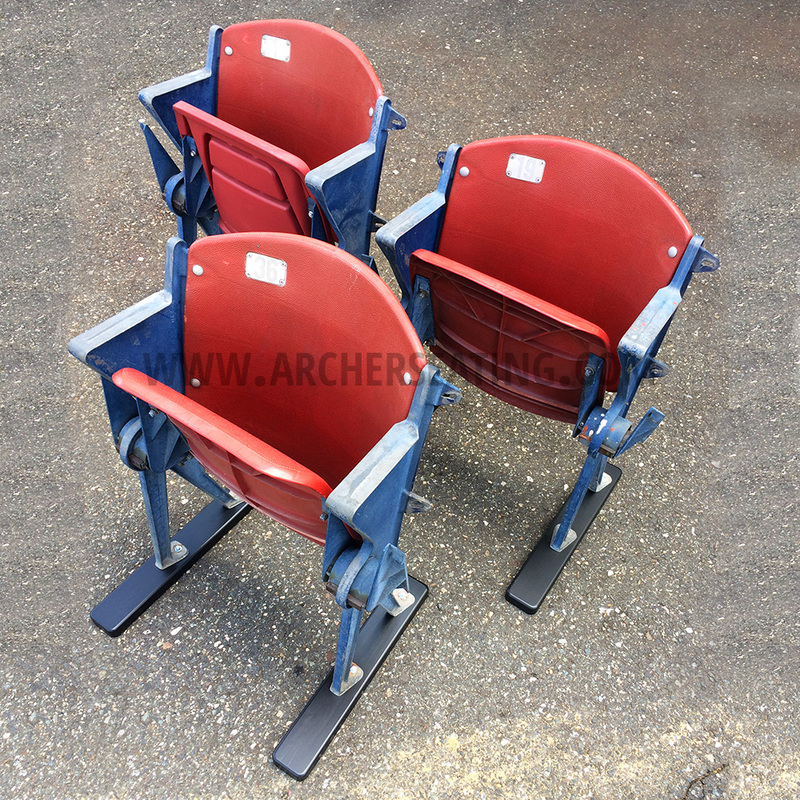 Very rare original and game-used 1976 “Meadowlands Style” single stadium seats from Giants Stadium. 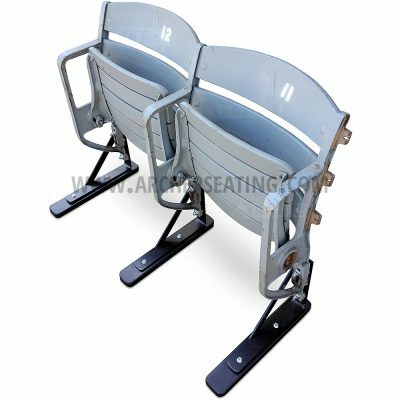 These floor-mount seats were the only ones of this style left in the stadium at time of demolition, located in one long row of 1,000 seats at top of upper deck. 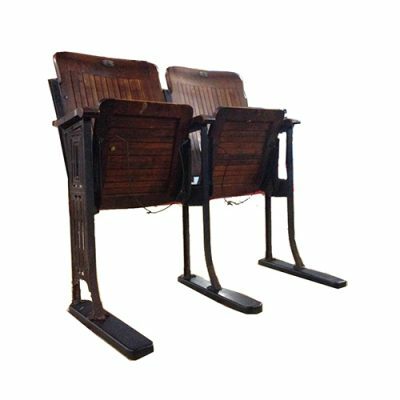 As with any floor–mount seat, they’ll include our custom Wood Feet in order to stabilize them for normal use. You can then place and sit in them as you please. Wood Feet will not be assembled, but all hardware is included with simple tips—all you need is a screwdriver. Includes an Archer Seating Certificate of Authenticity. In “working” condition. Scratches, fading, and blemishes may be visible. 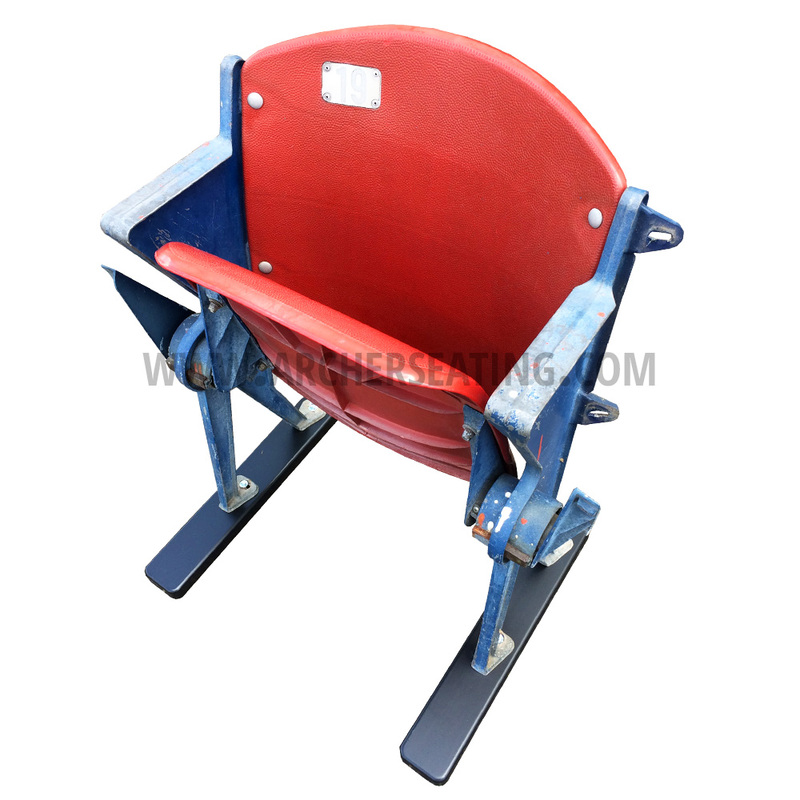 Red seat plastics from Giants Stadium. 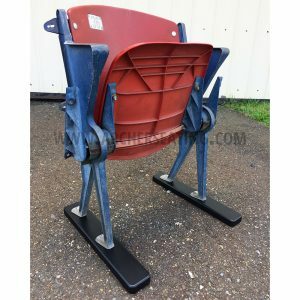 Blue metal floor-mount legs from Giants Stadium. Archer Seating Certificate of Authenticity. Black-finished wooden feet, made from poplar and painted black. Single seat; fits two people. Condition note: The seats will likely not be this faded, but there will be some amount of fading. 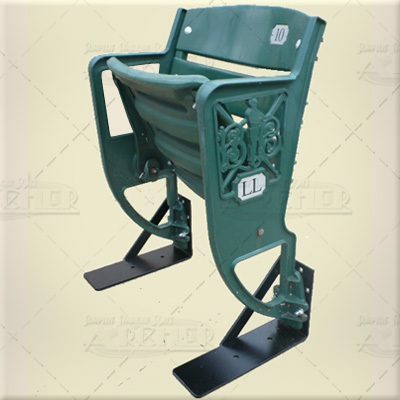 You can request a photo of the seat prior to shipping (you must specify this with your order as we ship quick!). The Wood Feet are not attached to the seat in this photo; screws will be included to stabilize your seat.